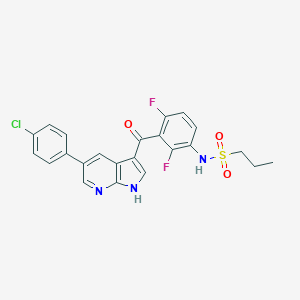 Vemurafenib is a pyrrolopyridine that is 1H-pyrrolo[2,3-b]pyridine which is substituted at position 5 by a p-chlorophenyl group and at positions 3 by a 3-amino-2,6-difluorobenzoyl group, the amino group of which has undergone formal condensation with propane-1-sulfonic acid to give the corresponding sulfonamide. 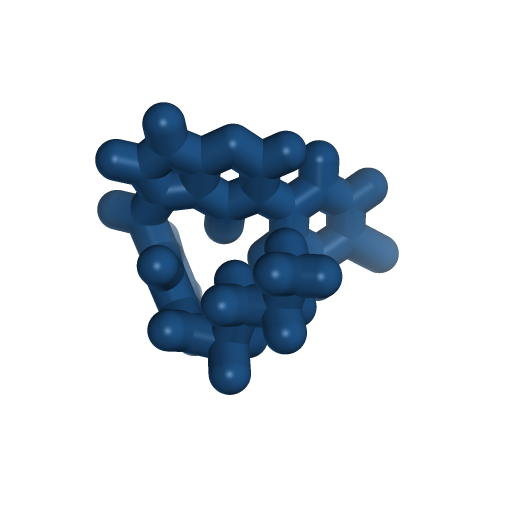 An inhibitor of BRAF and other kinases. 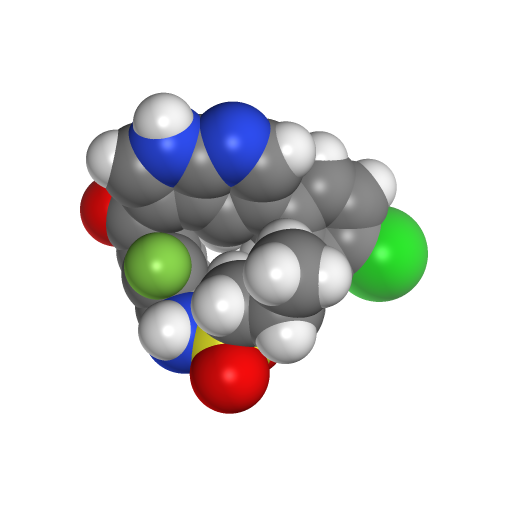 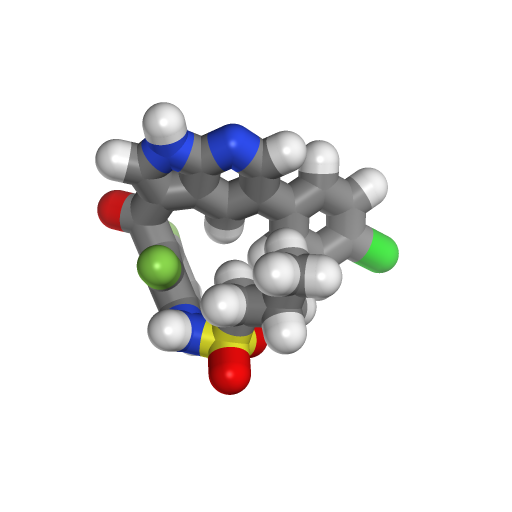 It has a role as an antineoplastic agent and a B-Raf inhibitor. It is a pyrrolopyridine, a sulfonamide, a member of monochlorobenzenes, a difluorobenzene and an aromatic ketone.